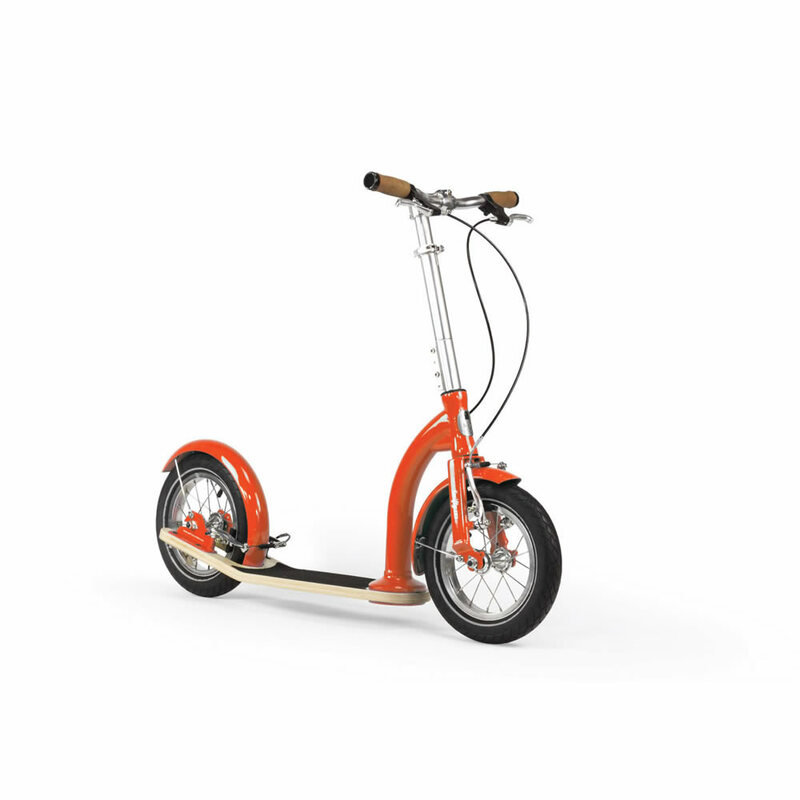 The beautifully formed birch plywood deck of the Swifty IXI Scooter absorbs vibrations, gives a smooth ride and is completely weatherproof. Control your scooter at speed with strong and responsive, hand operated V-brakes at the front and rear. 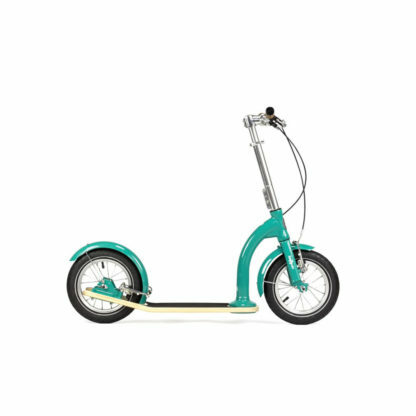 Smoothing out the bumps in the uneven ground, the Swifty IXI Scooter rides like a dream. Featuring 12-inch spoked wheels with high-pressure pneumatic tyres with reflective strip. Suitable for kids between 120cm and 140cm tall, the adjustable handlebar height offers comfort and longevity as your child grows. 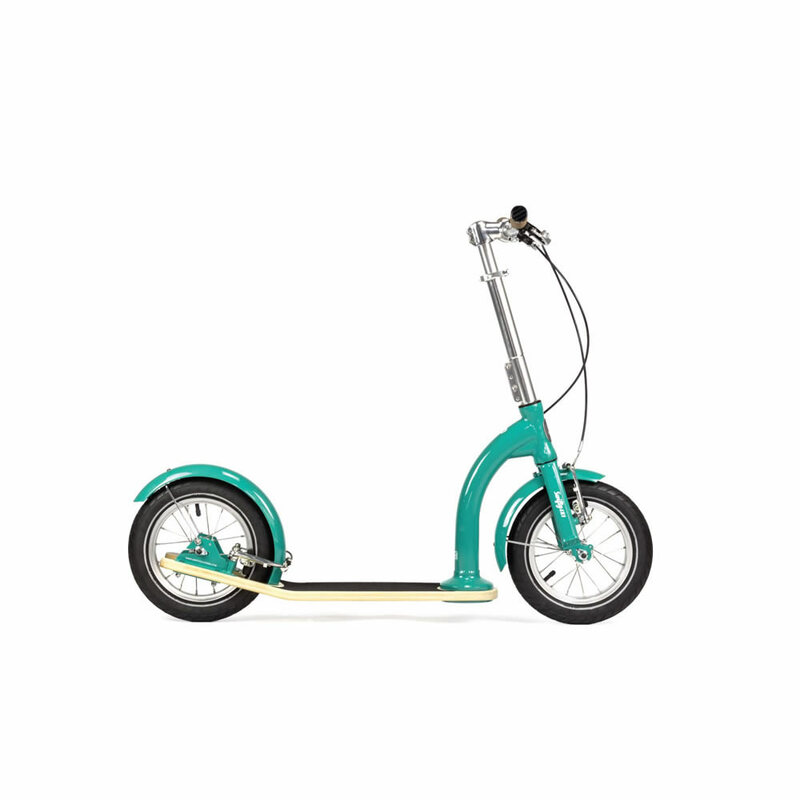 Founded by design duo Camilla and Jason Iftakhar (MA Royal College of Art graduates), design and innovation is at the heart of Swifty Scooters. 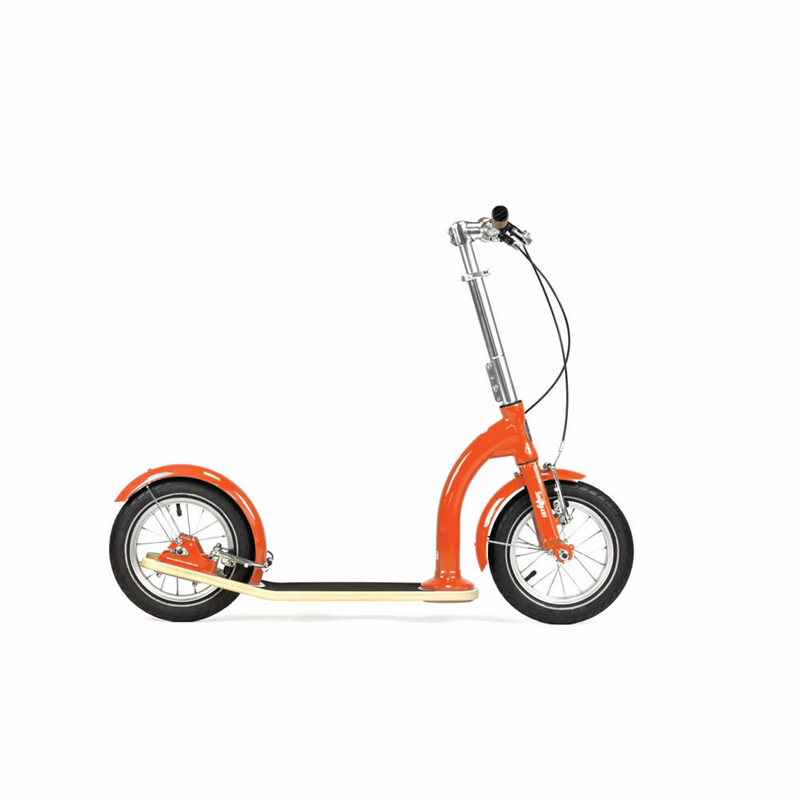 Swifty Scooters launched to critical acclaim in 2011 with the foldable adult scooter, SwiftyONE. 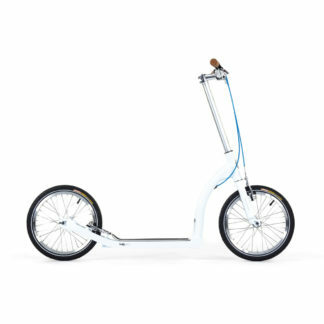 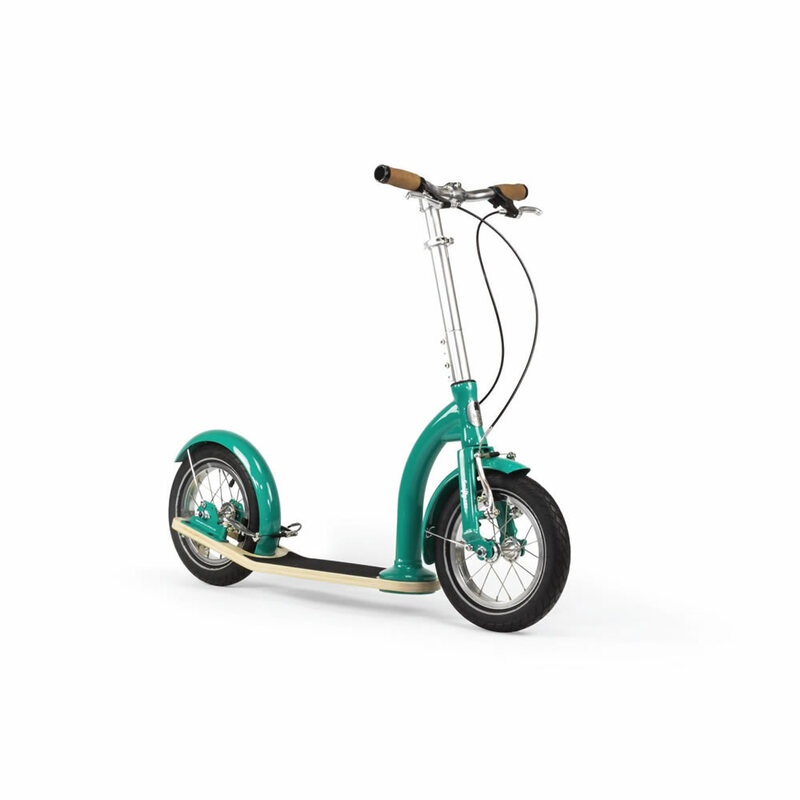 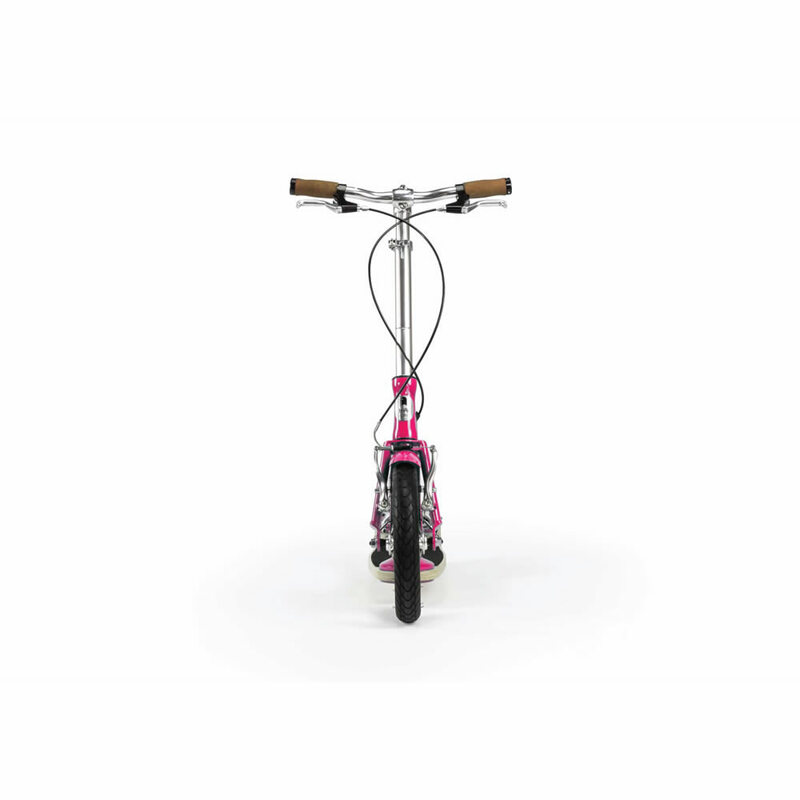 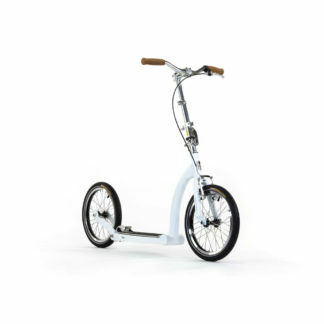 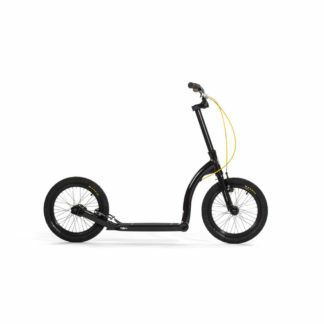 Featuring a unique folding mechanism, SwiftyONE was arguably the first premium foldable adult scooter, designed and engineered for the urban commuter. Swifty take pride in producing high quality kick-scooters, offering a fast, fun and healthy way to move around the city.